It is important to keep a close eye on proper form when working out. If you do not know what is the “right” way, then ASK. It is not worth the injury! Core staff members and trainers are here to help. 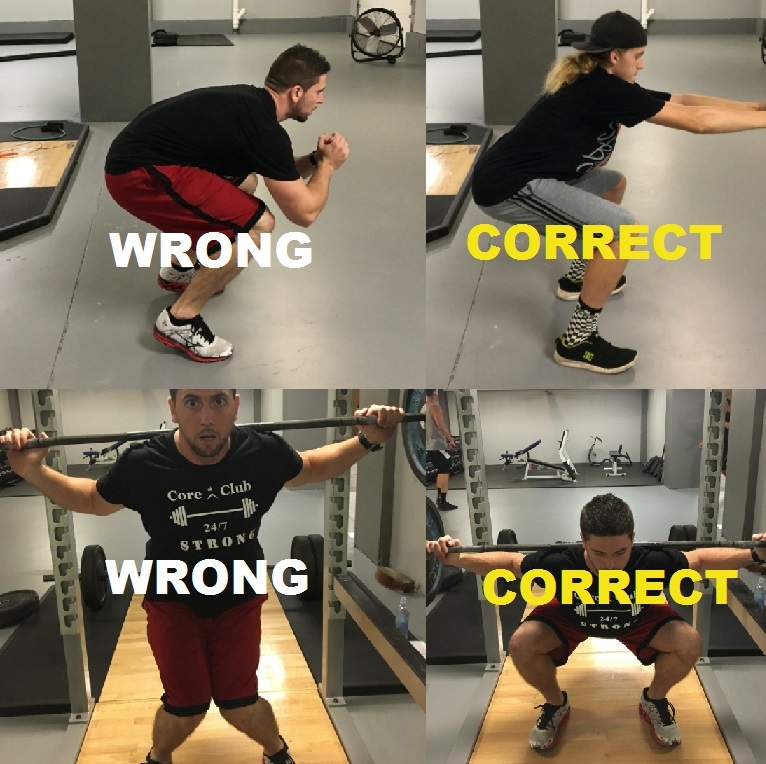 ➡When in squat position, whether you are using your own body weight or additional weight, it is important to..
1. Keep your feet shoulder width apart and weight in your heels and never on your toes. 2. Be sure that your knees do not go over your toes when squating. 3. Keep your hips and glutes pushed backwards and chest out. 4. Bend your hips and knees at the same time and move your hips back and down while pushing your knees out. 5. Keep your back and posture straight with no rounding or excess arching. 6. Grip the bar firmly, if you are holding weight.